In the U.S. they are employed to care for more homes than any other roofing surface. They’ve been the most widely used roof material since you were a child, and with good reason. 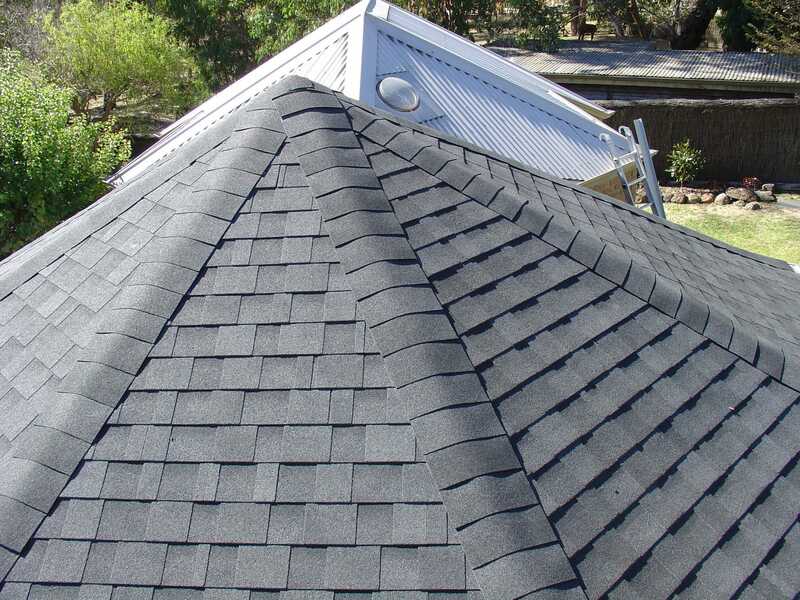 Asphalt shingles have won the trust of homeowners throughout the world. Why would you want to consider asphalt (AKA “composite”) shingles for your home? For one thing, they are efficient and affordable. More concisely, they feature a composition asphalt material that coats a fiberglass base creating a final product with the ability to act as an effective waterproofing substance. For years, that base layer was typically composed of organic material that was potentially more flammable. Fiberglass has since been developed to be more fire resistant and is now used as the primary base material. Generally considered ‘budget-friendly’, there are certain conditions to be aware of that will potentially increase costs. There are a number of brands and quality to choose from, all typically sold by the ‘square’ (a 10’ x 10’ area that equals 100 square feet). 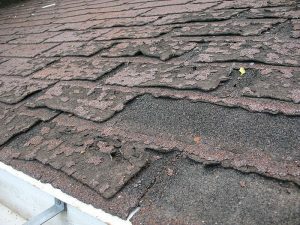 Asphalt Shingles will typically run between $125 and $150 per square. For enhanced protection and greater visual effect, multiple layers may be used (and will be more expensive). You must consider that architectural variables such as slopes, pitch, access and removal of old roof materials will not only add to the cost but may add to the square footage as well. The level of quality you choose must be factored in, too. 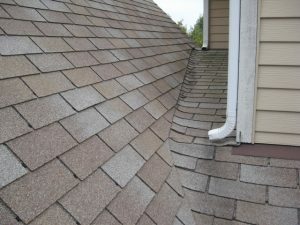 Typically the roofer will charge $2 to $5 per square foot of roofing. Subsequently, a 2000 square-foot, single-story home will range between $5,000 and $12,500. Did you know you can have an asphalt roof that closely imitates a much more expensive roofing alternative, such as real wood shakes? Yes, you may. They are also made to simulate natural slate, which is a popular fine rock that is chiseled for use as roofing tile. Sure, everyone would prefer the real things – such as real wood or slate roofing – but their respectively-styled asphalt counterparts provide a low-cost and realistic alternative. You can achieve the same desired image at a portion of the price that you would pay for the real deal. Besides those, there are plenty of other options to look at and choose from, such as multiple layering, colors, and the various shingle shape styles. Categories designed for greater cost-efficiency may be limited in such aesthetic options. Among the strongest selling points used to sway homeowners is the fact that a standard asphalt roof may last up to THIRTY years. Varieties in the cheaper range won’t last quite as long but upgraded versions may be warrantied up to FIFTY years! Now THAT’S buyer protection! And there are many more reasons why this product is ideal. 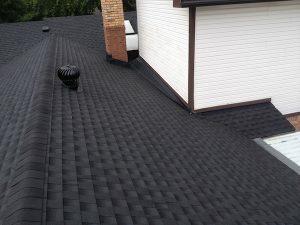 Asphalt shingles are affordable and easy to install. They have received good fire ratings. In fact, some insurance companies offer discounts to homeowners who use the Class 4 impact-rated shingles. They’re extremely durable, and the array of choice appeals to a variety of tastes. 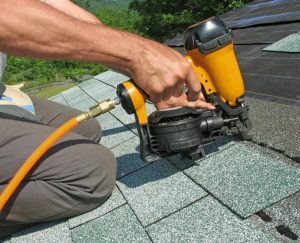 Despite these advantages, it must be revealed that asphalt shingles are not entirely immune from critique. They do not perform as well in extreme temperatures as say, metal steam roofs. Also, to the dismay of some environmentalist supporters, they are not looked upon as being entirely “Green”. You don’t want or expect your roof to be a headache. You want to be done with it, ‘file it away’ and not be concerned with it again for years. It should be the least of your worries. After all, there are most certainly other matters that more urgently demand your attention. So, if you want the luxury of a roof that you won’t have to give a second thought to, asphalt shingles may be the way to go.